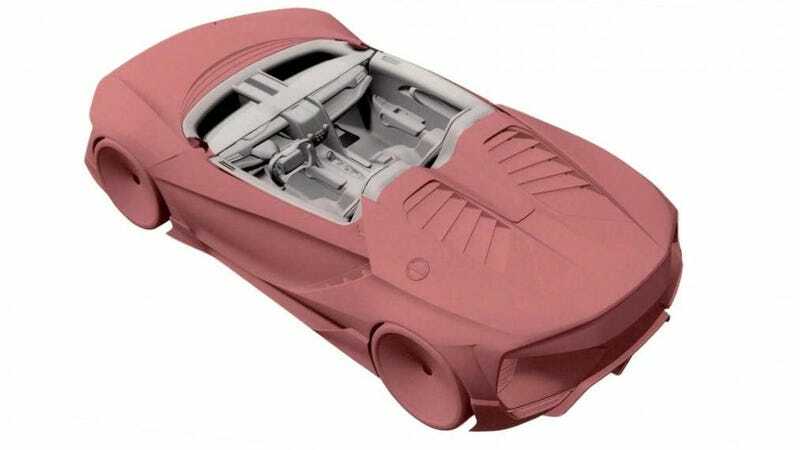 Sorry everybody, but all of those intriguing patents and leaks seemingly showcasing a new small, probably mid-engined “baby” Honda NSX seem to just be another one of those Gran Turismo video game concept cars. I’m not sure what we should have expected, but I’m quickly becoming bored of these virtual concept cars that sweep my desires while destroying my trust. If the photo is real, which it seems to be about as real as a cellphone picture of a screen displaying an imaginary sports car can get, then it would answer the riddle of the car featured in various tweets and patent images from Honda over the years. Since this photo is all we really have so far, it’s unclear what hypothetical specs this concept boasts beyond a mid-engine layout and some sharp looks. Its design is also incredibly similar to the Honda ZSX design study we already debunked back in March. Congrats teens, the coolest cars continue to live exclusively in a false mirror of reality.